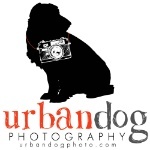 AWESOME Studio Session designed to create a plethora of personality infused images of your FAV furbaby! 1 hr., up to 2 dogs & their people. Designed to create wall-worthy artwork for (1) Glam canine. A super FUN adventure session capturing action & personality in the great outdoors! Choose Downtown, your backyard or FAV Park within 15 miles of Downtown Greenville. (Gift card expires 1 year after purchase).